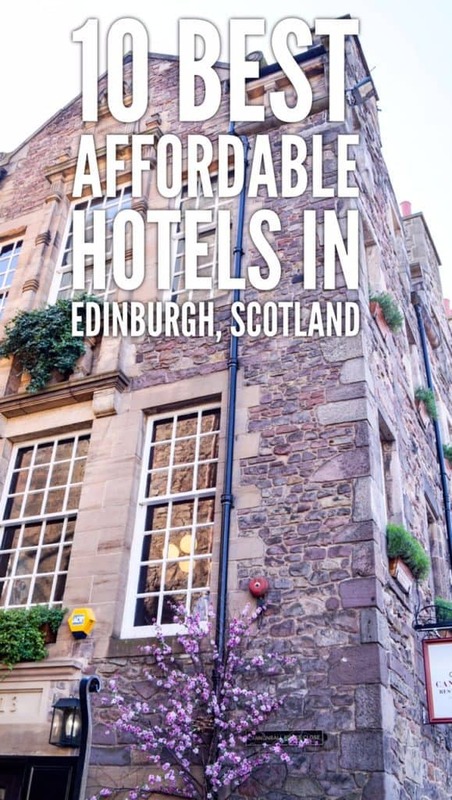 In this post, I wanted to share with you 10 best affordable hotels in Edinburgh, Scotland. More about budget-friendly Edinburgh you can find in this post. 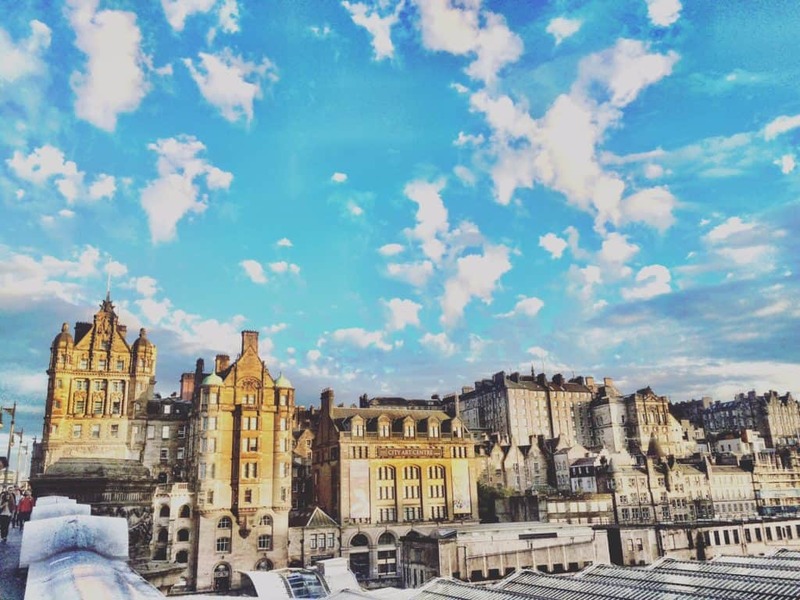 Summer is coming, and it means Edinburgh is getting more crowded and hotels are getting full. It’s not a secret that during the famous Edinburgh Festivals in August, Edinburgh hotels are all sold out. Thus, it makes sense to book them in advance. There are, however, alternative ways of finding accommodation for Edinburgh Festivals, which I already covered in this post. In case you looking for long-term accommodation, head here, where I described our struggle of finding a neat flat in Edinburgh. 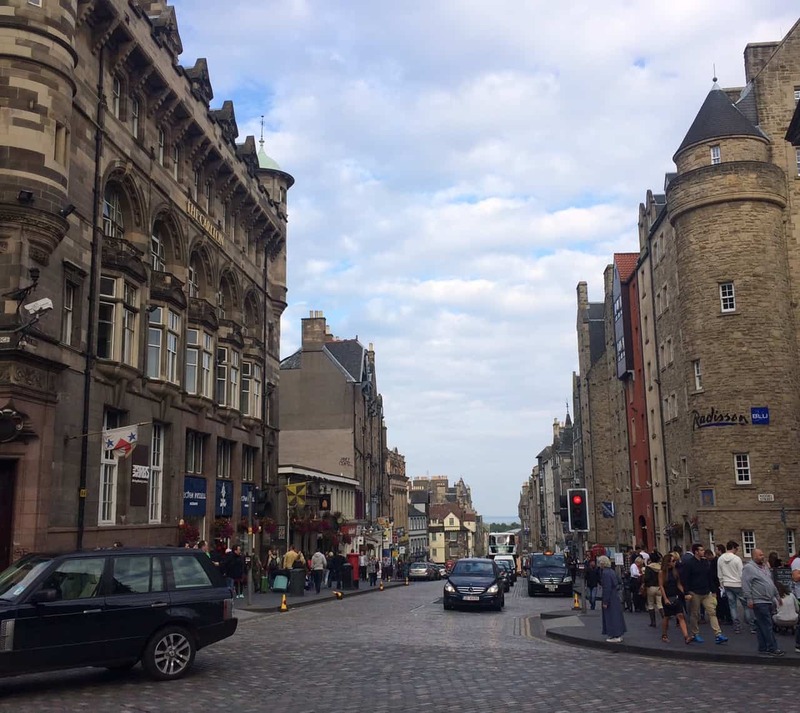 In case, you’re interested in visiting Edinburgh for a short-term and looking for great affordable hotels and guesthouses in Edinburgh, keep reading this post. I’ve lived in Edinburgh for already more than 1.5 years and had countless visits of friends to Edinburgh, so I decided to create this post in order to help you to decide where to stay in Edinburgh. Edinburgh is an extremely appealing destination for all the foreign tourist right now because British pound is especially weak right now. Best location in Edinburgh is obviously the city centre, however, some zones like Cowgate should be better avoided (unless you want to hear plenty of drunk people shouting just under your window). It doesn’t make much sense to live close to the airport, but it does make sense to live close to some park (Holyrood park is great as well as the Meadows). The zone near the Edinburgh university and further down the Nicholson street is really affordable and has plenty of budget-friendly food places for students and everybody who happened to be in this zone. Ramsay’s Bed & Breakfast is probably the best rated affordable B&B in Edinburgh. 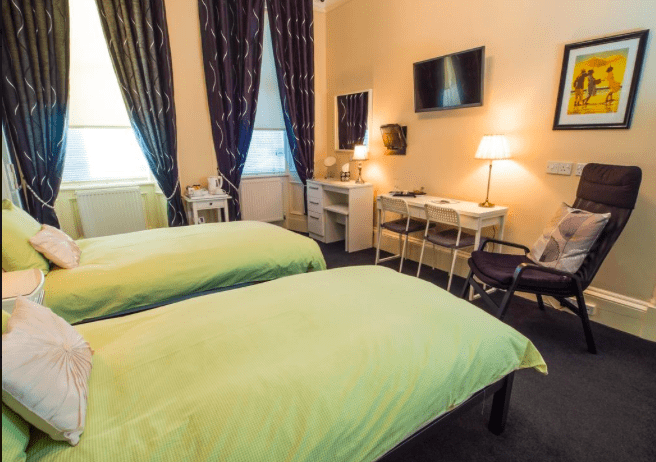 The guesthouse has a great and quiet location, just 10 minutes walking to Waverley, the main railway station in Edinburgh and around 15 minutes to Airlink – the express bus to the Edinburgh airport. All the rooms look new and well taken care of and the breakfasts (you’ll get a chance to try full Scottish breakfast with haggis and black pudding) are really delicious. 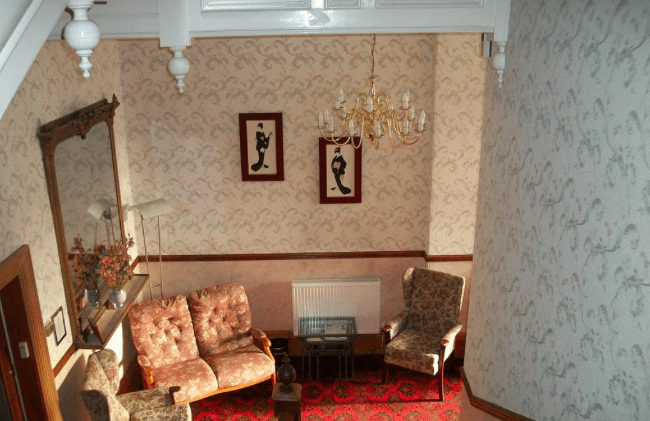 94DR is a Victorian guesthouse located in Newington, a modern district of Edinburgh, around 30 minutes walking to the main street of Edinburgh, Princes street and just 20 minutes away from the Edinburgh university and Edinburgh Festival facilities. This zone is very well connected to the city centre with buses, but in order to get to the airport, you’ll have to take at least 2 buses. However, it’s worth it, because the rooms are really exceptional as well as the breakfast. 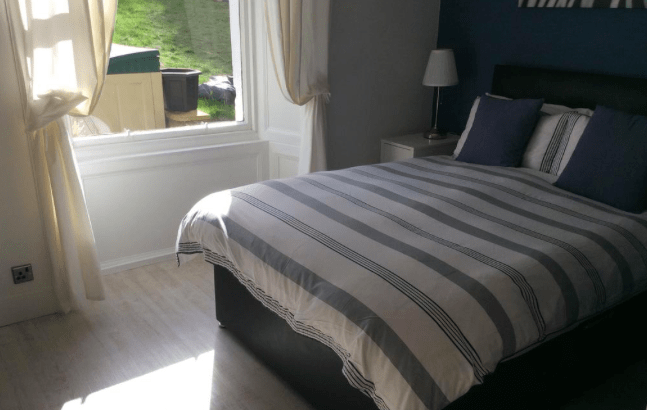 Antler Guest House is located in a very quiet neighbourhood just off the Leith walk, a budget-friendly district with plenty of good restaurants. It’s 25 minutes walking away from the main street of Edinburgh, Princes Street, but there are plenty of buses, which could take you there. 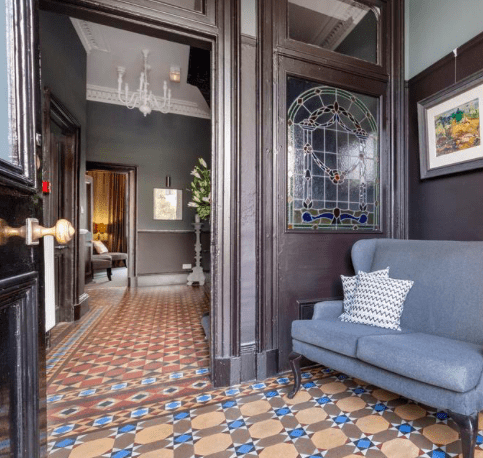 In case you’re coming for festivals, Leith walk might not be the best option (it’s quite far), but if you’re staying just to explore the city, Antler Guest House is a good option. Another of best affordable hotels in Edinburgh, Brown’s Bed & Breakfast is a 4* property located on the Leith Walk again, but a bit closer to the city centre than Antler Guesthouse. It has very clean and modern rooms and great breakfast. The prices during the high season (in July) can be as high as £110-120 (which is a good price for accommodation in Edinburgh). Edinburgh Sixteen is a very quiet guesthouse located in a detached Victorian villa. It has a lovely garden and offers a great breakfast in the morning. In case you’re fine with getting to all the sights of Edinburgh by public transport, you’ll love this accommodation. It’s also a bit cheaper than Browns B&B, for example (because of the location), so even during the high season, the prices are lower than £100 per night. It’s a good location for the Festivals, though and you can even get there walking in 20-25 minutes. Gifford House is located right next to number 9 in our list, hotel Ceilidh-Donia and not so far from the 94DR hotel. So it means it’s located also around half an hour walking from the main street of Edinburgh, Princes street, but it’s just 20 minutes walking away from the university of Edinburgh and the festivals. As many other guest houses in Edinburgh, it has a great breakfast included in the price of the room. The rooms, however, are quite old-fashioned, so if you want to feel like in the 19th century, this guesthouse is totally for you. The Inn on the Mile might be the priciest of all the hotels and guesthouses in Edinburgh that I have featured here, but it’s definitely worth it. The location just can’t be better than that – it’s located right on the Royal Mile, in the heart of the Old town, walking distance from the Edinburgh castle (7 min walking), the Holyrood palace (15 min walking), the main railway station Waverley (5 min walking) and the Princes street (5 min walking). It’s also very close to all the Edinburgh Festival facilities, so the location is really the best. All the rooms are brand new and fancy, but breakfast is not included in the price (prepare to pay £10 extra). 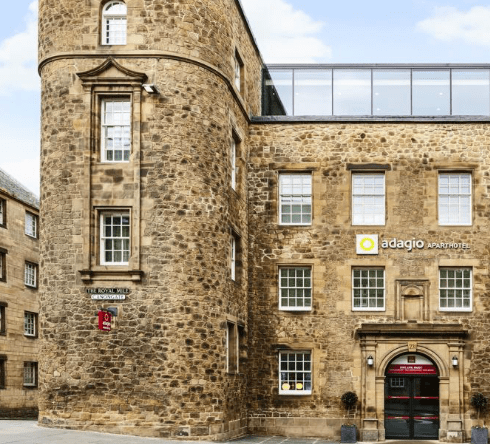 Aparthotel Agadio Edinburgh Royal Mile is also located in the prime location, on the Royal Mile, 6 minutes walking to the Holyrood palace house and about 10-14 minutes walking to Princes street and Waverley railway station. Royal Mile gets extremely crowded in summer, with plenty of tourists walking it down and up to reach the most famous landmarks in Edinburgh. Aparthotel Adagio is cheaper than Inn on the Mile, but still, a bit more pricey than the hotels and guesthouses in Edinburgh featured before. The breakfast is not included in the price, but all the rooms are very modern and stylish. As I already mentioned above, hotel Ceilidh-Donia is located right next to the Gifford House, which means that it’s a bit far away from the main landmarks (you will need to take a bus), but walking distance (less than half an hour) to all the festival facilities. The district of this hotel is purely residential and very quiet and there’s a big park nearby. Hotel Ceilidh-Donia is a 3* hotel with a very good rating, pretty affordable price (below £90-100 for a double room with amazing breakfast included), nice new rooms and fabulous view from the windows. Some rooms even have the view of Arthur’s Seat. Motel One Edinburgh-Royal is a pretty affordable and well-rated hotel in the city centre of Edinburgh, located in the heart of the Old Town. It’s just 5 minutes away from the Waverley station and few steps away from the Royal Mile and Edinburgh castle. All the rooms are very nice, clean and basic, but the breakfast in not included in the price (you’ll have to pay extra). It’s also a great option for some off-season travel because the prices can be as low as £59 for a double room, which is an incredibly great value for such a central location. I could continue this list forever, but hopefully, these affordable hotels in Edinburgh were enough to make your mind. If not, just check the Edinburgh section on Booking.com. I also recommend you to take some of the tours in Edinburgh, especially Edinburgh vaults (creeeeepy) and Edinburgh walking tours! I always book the tours with GetYourGuide, so I can definitely recommend them to you! You can see some of the trending tours for Edinburgh below! 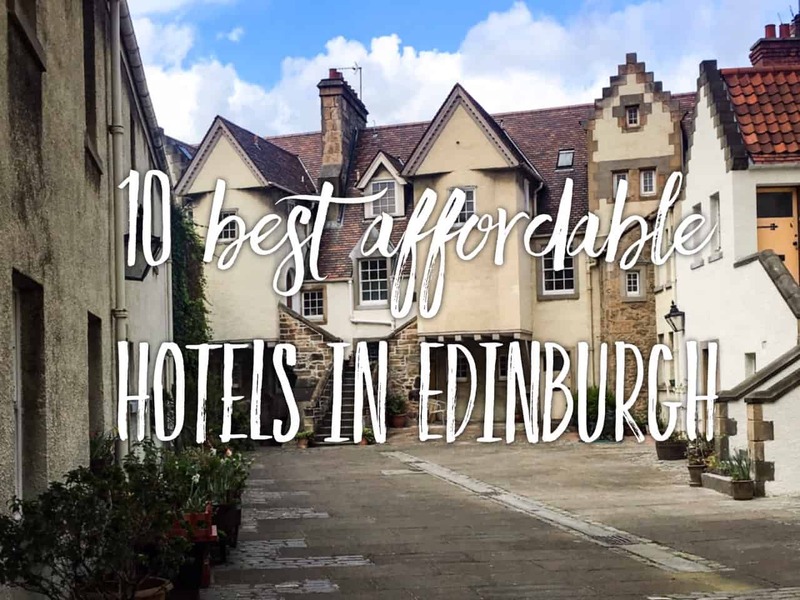 Liked this post about 10 best affordable hotels in Edinburgh? Save it on Pinterest! Please note that this posts contains affiliate links – if you book a hotel through that link, we’ll get a small commission at no extra expense for you! I stayed at Aparthotel Adagio and loved it! While it’s a little pricey, you get a sleek apartment with kitchen and living room, and everything is shiny and new. Would definitely stay there again. I didn’t buy their breakfast, but walked a little down the Royal Mile and ate at a cafe.